Looking for a degree that gives you versatility in the job market? George Fox University’s bachelor’s degree in politics enables graduates to succeed in any field they choose – including politics, public service, conflict resolution, law, development and business. Possible fields of emphasis include American institutions, law, international relations, comparative government, peace studies, political theory and public policy. At the center of the program is the conviction that the Christian faith is relevant to all of life – including politics. Our professors draw from the best of George Fox’s evangelical and Quaker heritage, and are actively engaged in research and current events. 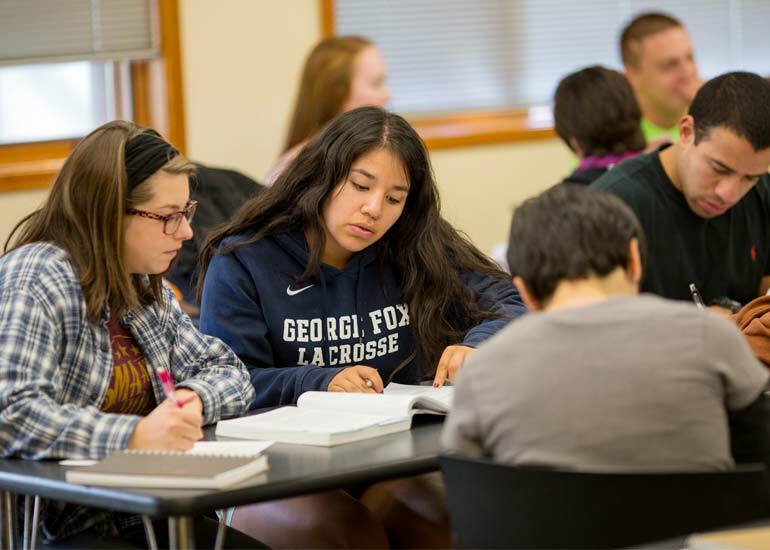 Request more information about the politics major at George Fox University or schedule a visit to begin your education at Oregon's Christian university, ranked as one of the top Christian colleges in the nation by Forbes. According to the U.S. Department of Labor, employment of political scientists is projected to grow faster than average, reflecting the growing importance of public policy and research. Demand for research in this field is growing because of increasing interest in politics, foreign affairs, development, social policy, environmental policy, health care, crime and immigration. "Majoring in political science has been the best decision I’ve made at George Fox. The faculty are beyond capable and highly personable, and the classes are both challenging and rewarding." Work with a prelaw advisor who graduated from one of the nation’s top 10 law schools. Learn from professors who are published authors and remain engaged in current political and legal debates. Choose from an extensive database of internship opportunities tailored to your interests. All of our students who have applied to graduate school or law school have been accepted. Explore the moral, strategic and practical aspects of peacemaking with a peace studies minor.